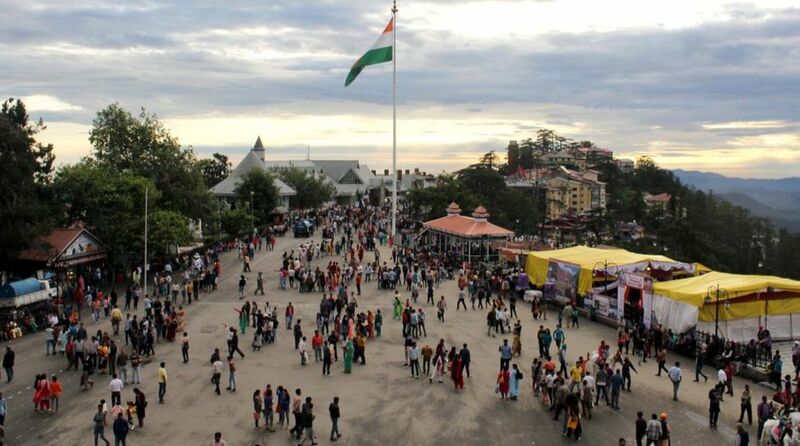 “Tourists would be provided the HRTC taxi services for coming up to the Shimla town from the newly dedicated parking complex at ISBT, where the place would be available for parking their private vehicles,” Shimla Deputy Commissioner Amit Kashyap said. Shimla Deputy Commissioner Amit Kashyap on Thursday directed for chalking out effective strategy for maintaining smooth traffic flow in the state capital and surrounding areas during Christmas and New Year celebrations. He directed to take appropriate measure for providing adequate parking facility to the tourists and local residents besides uninterrupted traffic flow especially during this period when thousands of tourists visits the town. “Tourists would be provided the HRTC taxi services for coming up to the Shimla town from the newly dedicated parking complex at ISBT, where the place would be available for parking their private vehicles,” he said. The Deputy Commissioner said that hoteliers would have to ensure proper parking facility to the tourists staying in their hotels and they would also guide them how to use HRTC taxi service for reaching up to the town. He said that HRTC would make available the facility of electronic taxi facility in the interval of 10 to 15 minutes for a week from 25 December, 2018. Kashyap also directed the private parking owners of the Shimla town and surrounding areas to facilitate the tourists in parking their vehicles and display the information regarding availability or non-availability of the parking for vehicles. The responsibility would be fixed on the hoteliers and private parking owners for the vehicles parked outside their complexes and such vehicles would be challaned. He directed the departments concerned to display notice boards at Shoghi, Dhalli and Tutikandi bypass for necessary information of the tourists so that they may not face any difficulty, especially for parking their vehicles. He informed that parking facility would also be provided at Dhalli Sabzi Mandi to the tourists from where they would get HRTC buses for moving towards Kufri. He also directed to remove the unauthorized persons sitting along the roadside to avoid traffic jams.